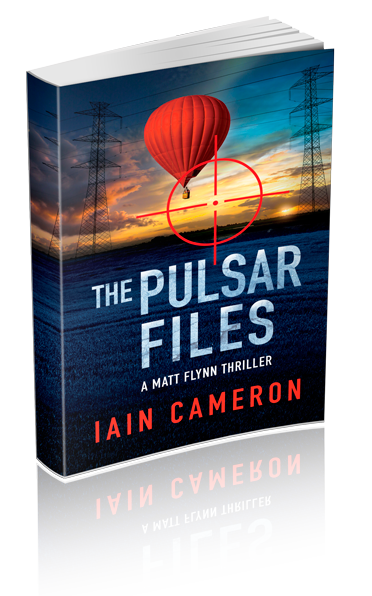 The Pulsar Files is the first book in the Matt Flynn series. Matt Flynn is an agent with the recently formed Homeland Security Agency. In the hunt for a Serbian hit man, it leads him to a hot-air balloon accident in Oxford, a crash killing all five passengers including three members of the Anderson family. The only Anderson not to join the flight, Chris, is a university student. He is a member of a shadowy hacking group and previously hacked into the systems of a US helicopter manufacturer, uncovering some of their dirty little secrets. The secrets are dynamite as they could destroy sales of the company’s new innovative helicopter, Pulsar. They will stop at nothing to recover them. Matt is playing catch-up, trying to stop Chris and a journalist caught up in the melee from being killed. When Matt’s boss and partner, Rosie Fox, is kidnapped, he decides it’s time to take the fight to them. Unfortunately, things don’t go the way Matt planned. Just when he thinks he’s making progress, the floor beneath his feet opens up.